Resenbro Put and Take is situated in the magnificent landscape in Middle Jutland around Gudenåen. 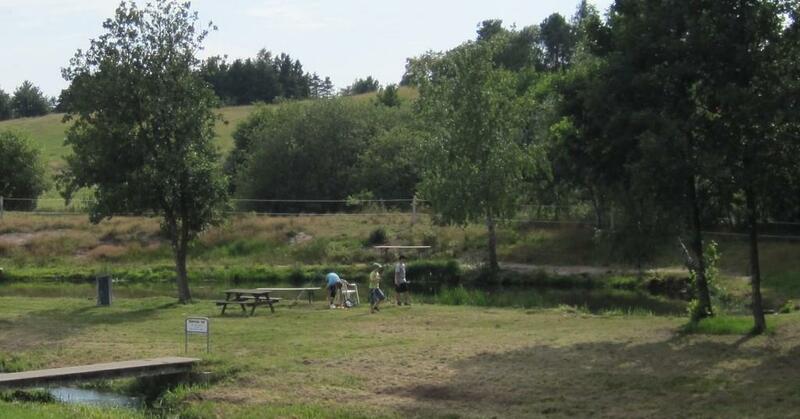 The area is also available for cyclists, it is child friendly and there is access to the lakes for wheelchair users. The fishing lake in Resenbro Put and Take is supplied with water from a kidnail. It provides a nice water environment with good conditions for the fish. The place also offers a fishing lake for children under the age of 12 with good fishing opportunities for the children. Vending machine with candy, eg. Power Bait, cold beer and soft drinks.